The roads in Mdina and Mellieħa will once again see a flurry of activity as the Malta Classics event returns from October 5-8. The event is expected to attract over 70 pre-1976 cars taking part in hill climb, static shows and motorsport events. Malta Classics 2017 will be split into three events – the Mellieħa Hill Climb, the Mdina Concours d’Elegance and the Mdina Grand Prix. Organisers are promising superb views of the event with the return of grandstands around the circuit, including the start, end and the straight. The races will also be live-streamed and race timings made available in the grandstands and VIP sections. 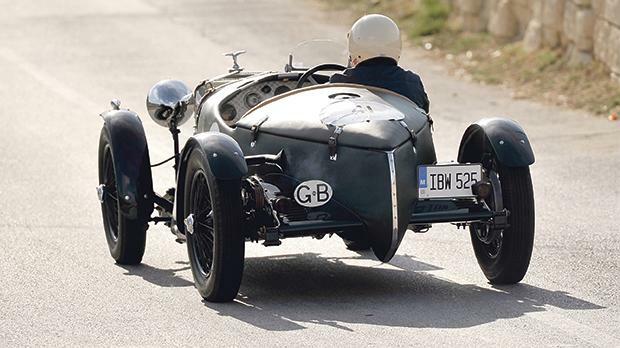 Mdina Grand Prix also welcomes a new category of cars on show this year, namely guest modern classics, which will feature a selection of 80s super cars and rally car legends. Organisers say the event would also feature extremely rare Ferrari, Alfa Romeo and Aston Martin models, apart from other cars from the past century. The Malta Classic weekend is open to the public free of charge, with three ticketed areas offering enhanced event access to motor sport enthusiasts. Paddock ticket holders will have the opportunity to get a closer look at the competing cars, while grandstand ticket holders will have views overlooking the start and end of the race. A limited number of VIP tickets are also available to purchase, affording holders with the best circuit views. Tickets can be bought from maltaclassic.com. With local participants as well as others arriving from Italy, the United Kingdom, France, Switzerland, the United States and further afield, the 2017 Malta Classics promises to be the best one yet.